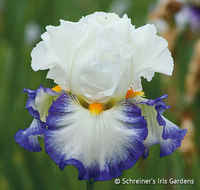 Bloom times listed below are approximate and depend very much on the weather. 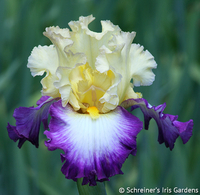 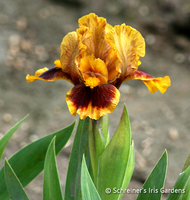 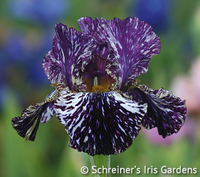 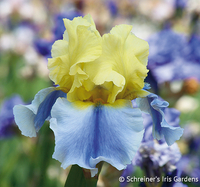 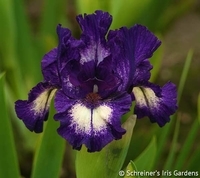 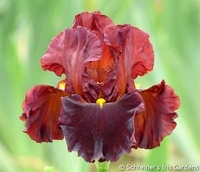 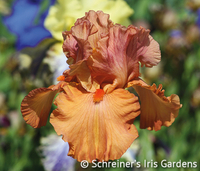 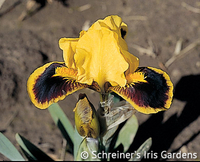 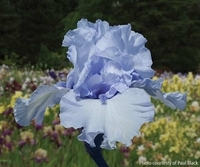 "Early, Mid and Late season" means that an Iris plant begins blooming early in the season, then produces another bloom in the middle of the season, and then again late in the season. 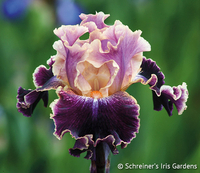 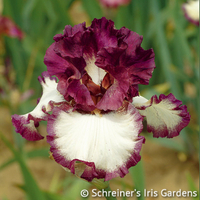 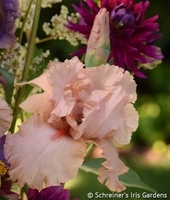 For Standard Dwarf Bearded Iris this can mean blooms beginning in late March and continuing through April. 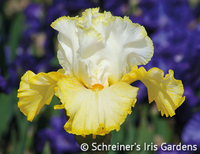 The Intermediate Bearded, Border Bearded and Miniature Tall Bearded that are bred to be "Early Mid Late season" begin in April and go through early May. 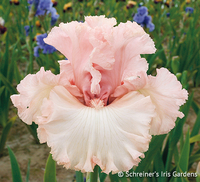 The Tall Bearded which are classified as "Early Mid Late season" bloomers typically begin their show in early May and run through early June. 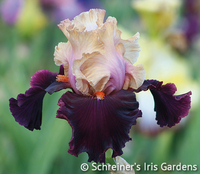 TIP: You can sort this list by "Height" to display it in order from the shortest Dwarf Iris to the tallest Tall Bearded Iris.